I thank you Ram! When I first came here, I wanted to study Yogasana and meditation and Ayurveda Massage. But I found more than that in this place. Everything is doing and giving with love and understanding.<br /> I know, I was not very kind sometimes. But you made me understanding my body after cleansing it. I can leave with more trust and knowledge and handle better my life back in France.<br /> Thanks to all the family for being nice and helpful. Rajnee helped me a lot also in learning Ayurveda diet, wonderful Spices, medicinal herbs and oils for better health.conclusion: Everything has to be done with the heart, love and mindfulness. 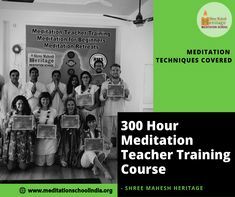 Meditation teacher training reviews by worldwide students of Meditation retreats &beginner school-Shree Mahesh Heritage is Govt of India registered Center.I have done my mttc from Shree Mahesh Heritage under Sr.Expert Ram Gupta – Meditation and Nature cure.And dreaming back to visiting the school for the higher level of meditation teaching.I would recommend this school to anyone as ever aspect of teaching, accommodation, programs had life changing experience.Course conducted at SMH-Rishikesh is for everyone. Whether you are meditation beginner, like minded individual who wishes to experience self-learning of meditation oor advanced practitioner who want to become a certified meditation teacher.I am pretty sure you’ll come go through enough healthy learning of teaching others.The staff and instructors always support you and give your personal attention. The other best thing is they take only 10 students each teaching programs.staff ensure comfort and safety at all level The meditation expert is really an expert of giving you guru gyan. Ok, I’ll keep it simple and straight to the point. If Yoga is what you want, then, you have a thousand options in Rishikesh, India. But if meditation is what you want, then you definitely want Shree Mahesh Heritage Meditation Training School. I have recently completed this meditation training program and I know of no other meditation program anywhere in the world that comperes to Shree Mahesh Heritage Medition Program. Apart from their awesome location, training, food and other logistical support, this school assembled the best teachers / staff to facilitate a one in a life time experience. I enthusiastically endorse Shree Mahesh Heritage Meditation Teachers Training. Go check ’em out folks! I took one month MTTC in March 2018. It has changed my life very much even back home. Thank you so much for everything to everyone. Every teacher has a beautiful soul. I couldn’t stop humming, “Om Shanti, Shanti, Shanti.” while I was at school. I felt blessed. I had a hard time to learn Sanskrit terms but I am so glad I did. When I research more about meditation, Sanskrit terms really help. Thank you again. Very good! Very goooood!! VERY GOOOOOooOOOD!!! This is how I would describe my 100 hours teacher training experience! Grateful for the variety of meditation techniques I’ve learned that are suitable to everyone! I recommend this program for those who would like to kickstart their practice, and for those who finished a yoga teacher training! The lessons are very useful and beginner friendly! 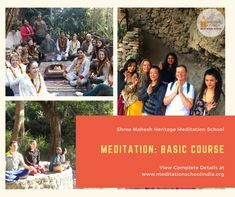 The school is situated in an area away from the busy and crowded part of Rishikesh which makes your school and meditation experience easier to feel. This was my first time in India and coming to Rishikesh has been a great experience especially becoming a meditation teacher with Shree Mahesh as been life changing for me. I really feel that this program was well-rounded and worth all that I have expected and more. The accommodations, vedic philosophy, the homemade food provided 6 days a week with 3 meals a day helped my digestion become balanced. The teachers were very knowledgeable of all aspects of meditation and I did not expect to learn more than 25 types of meditation. It also changed me from the inside out and I feel that I am pulled to come back just because of my experience here. The syllabus was very detailed and I really felt that the 300 hour certification was challenging yet doable for me as I was ready to begin this journey to be a meditation teacher. In the beginning, I felt overwhelmed with the 4 presentations and two exam requirements, but once I became immersed with the culture and language, I did not focus on my weaknesses but rather allowed myself to feel what I was could apply within myself in this program. I really felt blessed to be a part of a group of strong women who all shared the same energy which made the experience ten times better. I really appreciate the teachers who cared for all of us and put attention to detail for our learning. I really loved learning about laughter yoga and chakra meditation, which I feel I will apply in my personal practice and future business. 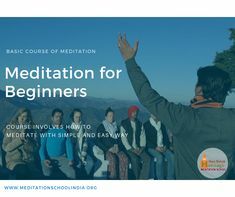 Overall, I really loved this program and highly recommend anyone who wants to learn about meditation and to spread the wealth of knowledge that you gain within yourself and with others. I have found this school online after some research and arrived to Rishikesh after long and hard thinking of which school to choose. I am happy with my decision of Shree Heritage Meditation School. The teachers namely Kamal, Varsha and Koshal are excellent, knowledgable, confident, approachable and experts in their own field. They answered all of our questions in the classes and/or privately. Thank you very much for all their teaching, I am eternally grateful. Particular thanks to Ram Gupta, head teacher of the school for his fantastic Laughing Yoga sessions. The accommodation in the school is very good, each of us had our own private large bedrooms with our own bathrooms. The food is North Indian and we were served three times daily, and Chai tea in the afternoon. The style of the school and teaching methods are flexible which I enjoyed the most. They don’t try to impose any of the meditation techniques but simply teaching us all of the available methods. We were also taken to different local locations each week such as visiting saints, caves and unique meditation spots by the Ganges river. This was all included in our package and I enjoyed seeing different local hot spots for meditation. Overall, I had a good experience and enjoyed my time here, I’ve gained and learnt a lot. I’d like to continue my experience of meditation privately, this experience opened a new door for me. Thanks to Shree Heritage Meditation School for a beuatiful start of a journey. 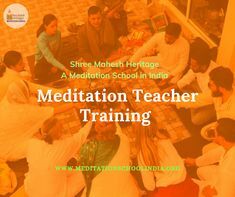 I had a wonderful experience during the Meditation Teacher Training Course at the Shree Mahesh Heritage School. During the course I received a lot of new knowledge from philosophy and Sanskrit terms to pranayama and mantra chanting. Our teachers managed to teach even very complicated and deep topics in an easy-to-learn and understandable way. Philosophy teacher Varsha is amazing with her unique individuality, teaching style and approach to worldly affairs. She shared her broad knowledge and life wisdom with us. We were lucky with all the teachers! Ram Ji is a very experienced teacher wise and strong personality. I am grateful to him for all valuable suggestions. My stay was very positive. Accommodation was clean and comfortable. Attentive and helpful staff did not leave my requests unanswered. Ojas was really helpful and kind. Food was very delicious and healthy thanks to the talented cook! I would definitely recommend this course for those seeking to learn and teach the art of meditation! I am a meditation teacher and was looking at perfecting my knowledge and practice of the traditional meditation techniques. I attended the 28 days retreat in November 2017. I can say I got everything I was looking for and more. Being able to get away from it all for 28 days was a big part of it. I was able to concentrate on learning and on my practice with very little distractions. 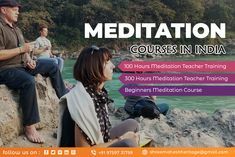 The program is very well run and contains many different elements such as pratice of Hatha Yoga, chanting of Mantras, Theory and practice of over 20 different meditation techniques. They all combine to give a very good grasp of the traditional techniques as well as the emerging ones. The accommodations were great (for India) with filtered water, great food and the proximity of many of the famous places in Rishikesh such as Lakshman Jhoola, Ram Jhoola and several temples were you can attend the Arti in the evening. Ram Gupta runs the meditation training program and does a very good job at connecting the different parts of the program. He is also always available when you have any questions about what you have learned or the program itself. Ojas Garg runs the hotel and facilities and also serves as a travel agents should you need and travel arrangements. Ojas was one of the main reasons I really enjoyed my stay in Rishikesh. Always ready to help with anything from getting laundry done, purchasing office supplies to arranging travel in the Himalayas. I definitely recommend the 28 days retreat if you are a serious practitioner or a meditation teacher and want to deepen your understanding. And as a bonus if you have never been to India before this will be a gentle introduction and likely a life changing experience. First of all, thanks to the director Ram, and to the teachers. They have so many to share with enthusiastic commitment. I started some yoga and discovered by this way meditation. I felt that meditation could be a tool for help us in our crazy life, but I didn’t understand what it was. After six days of Vipassana meditation in France, I understood that’s It’s above all a technic, to learn how to be in the present moment, awareness of everything in the present, to let our many thoughts go away and to think positive. But what I understood at the meditation school of Rishikesh, that our body and mind can’t be dissociated. To prepare our body and mind in order to meditate. The program is a complete schedule on how to prepare our body with yoga, in order to meditate: balance of our energies with cleansing body, work on breath, posture, good food, schedule on different technics of meditation, with theoretical parts and discussions about the way of life. The practice is intense, and makes you feel deeply in your mind and body. Don’t hesitate. I did one week, but it’s not enough!! And Rishikesh is so incredible. Avant tout, je veux remercier Ram, le directeur, et les professeurs. Ils sont passionnants et passionnés, et ont tant à partager. J’ai commencé à m’intéresser à la meditation suite à des cours de yoga, mais ne comprenais pas trop ce que c’était. Après une semaine de meditation Vipassana par ailleurs, j’ai compris que la meditation est avant tout une technique pour vivre le moment présent, laisser partir nos si nombreuses pensées qui nous perturbent, afin d’être nous-même et penser positif. Ce que j ai compris dans le programme de cette école à Rishikesh , c’est que corps et esprit ne peuvent être dissociés. Préparer son corps et son esprit, et méditer. Le programme proposé associe donc yoga et méditation. Cela me paraît tellement logique maintenant: équilibrer les énergies en purifiant notre corps, en travaillant la respiration, les postures, nourriture saine. Et puis présentation de différentes techniques de méditation, cours théoriques, avec discussion sur nos comportements dans la vie …. J’ai vécu ces moments de façon intense. Et étant en Inde, le côté spirituel ne peut être dissocié ( partage, remerciements) ce qui rend aussi les choses très intenses. Rishikesh est un endroit à découvrir. N hésitez pas. Je n ai fait qu une semaine, mais ce n est pas suffisant. Il faut faire au mois deux semaines. La majorité faisait quatre semaines, même s ils ne se tournent pas vers l’enseignement. I enjoyed the course very much. The teachers *laid a lot of knowledge on the table* and now it is up to me to choose and pick what I need in the future. The first 3 weeks were packed with interesting lessons and last week was reserved for teaching practice. I wish we could have learnt a little more from the teachers in that week. But yes, we definitely learnt from each other, no doubt. I wish we could have sometimes used the time for the morning Asanas for a meditative walk into the nature. Accommodation and food was great, the rooms were clean and the food was plenty and delicious. Overall it was a great experience and I would definitely recommend this course. The course was really interesting. I much enjoyed the first two weeks of meditation and Ram and Sarvottam were prepared teachers and ready to help you when needed. There were a lot of subjects covered and the practice meditation session were all well made and interesting. Also the outdoor activities were really fun and stimulating. A particular mention has to be done about the food, it was really excellent! The last week was quite intense with a lot of assigment to prepare, and most of us were feeling quite tired, but i guess it was also because we were more students than the usual number. I also enjoyed the way the exams were performed, was rally helpfull and enjoyable learning how to teach a class. I feel that especially the first two weeks were really changing for me and for all the students attending the course with me. I feel ready to go back in my western world and start helping people with all the skills i learned in this course. Thank you to all the teachers for this wonderful experience. One of the best in my life ! Thank you to Kuldeep and Vicky for the lovely meals, so healthy and tasty. I already started public meditation in Galway, and I really enjoy it ! I went to Rishikesh for spiritual tour but met an Indian person sitting next to laxman jhoola bridge and we spoke about Rishikesh and western world.He invited me at Shree Mahesh Heritage meditation school to attend free drop in class.I refused him but visited after 5 days my own to know about his place.It was such a wondering mind experience which took me to make a big decision and when I met him 2nd time at his place. No words, I joined a 300 Hour meditation Teacher Training Course after spending some 10 years teaching yoga in my country. I had previously attended yoga teacher training programs in America and India and this was as fine a teacher training program as you could ever desire.but this was an outstanding and truly authentic approach to work with own energy and cosmic energy.Finally, I become a meditation teacher and no one else this credit goes to Sarvottam and Ram ji.I cannot stop saying that Sarvottam helped me to take me next step to the spiritual world.His meditation classes were mind blowing.He knew how to remove emotional sickness.The staff was exceptional, from the master Meditation teachers to the support staff and special thanks to Kriti Tomar yoga teacher for his Vedic Philosophy class The lectures were brilliant! I highly recommend attending courses with Shree Mahesh Heritage meditation School. Hari Om from Australia, I waited 2 years to post this. I’ve waited for time to pass so I could share authentic long term effects. 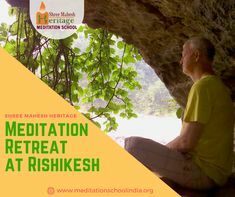 My time at Meditation School Rishikesh at Shree Mahesh Heritage was life-changing. I have been exponentially calmer, happier, and more connected. The teachers are plugged into the source and communicate the love of life with all students. My basic asana, pranayama, and learning more than 20 different global meditation techniques took off at Shree Mahesh Heritage and have been a daily ritual ever since. I remain more fluent with my breath, flexible with my body, and observant of my mind. 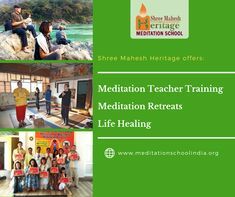 Attend Meditation School India Shree Mahesh Heritage and you’re life will forever be touched. 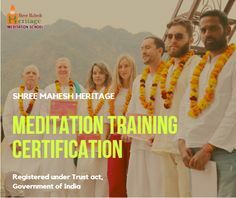 Life Changing Experience at Meditation School India Shree Mahesh Heritage Meditation TTC connects western science advances with ancient Vedic meditation wisdom, encouraging and supporting inner peace at a various level along with self-discovery and self-expression. 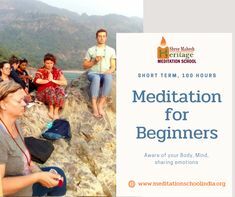 It is the best-Guided meditation certification Teacher Training deal in Rishikesh in terms of quality-price ratio, comfortable campus, longest training period, complimentary activities.Thanks for making me a spiritually attached person.The best time of the year Indeed.Finally, after 8 years of practice, I am certified meditation practitioner and teacher.Hundred Percent Recommended to people who are looking for guided meditation training experience.Special Thanks to Ram and Sarvottam being so kind and helpful.Wish you a great journey success ahead Meditation School! Thanks & Warm Cheers ! First let me begin my giving gratitude and thanks to the wonderful teachers at Shree Mahesh Heritage.The time spent at Shree Mahesh Heritage has put me on a path that I have been longing to walk upon. The training and practices I have learn’t have given me the foundation to establish not only my own meditation practices but also given me depth and understanding of the practices I have learn’t in the past. I am dedicated to learning and growing in many meditative forms. I believe there is a practice for all individuals but not a single form will assist an individual to self realization. Concentration is the first step and what we focus our minds on is varied. Shree Mahesh Heritage Meditation School opens the gateway to 21 forms of concentration. There is a practice for all individuals found amongst these forms. The training has given me confidence in teaching many of the practices. Now the heard work begins for me, I walkaway from the program with so much information on the practices now I have to live it. Peace to you, Enjoy and dive in deep. Life is too short to sit on the side line of life. This is my third time in India, and every time I have been here I have had the opportunity to work with great teachers in great schools. Shree Mahesh Heritage is a very high standard school, in terms of administration and their grasp of education. This school, in which you can practice many meditation techniques, is located on a mountain and is away from the commotion of the city. If you want to become a trainer, or just find out more about meditation for personal growth, this is definitely the right place for you. I went to the school with pretty much no meditation experience so found the first week exceptionally daunting. Everyone one else had meditated for varying times – 6 months to 6 years. I didn’t attend to be able to teach afterwards, but for my own experience and growth and to try and use meditation as a tool for pain relief. After i found my bearings I fell into meditating every day and still try (my very utmost) to meditate every day. I find it an amazing experience and I can’t believe I only found it at this late (r) stage of my life. Not only did we learn 12 different types of meditation but also about the history, philosophy and different Saints (you do a presentation to everyone in a given Saint). As i am not religious, but definitely believe in a higher energy, it was fantastic to learn that there were many Saints who didn’t worship an absolute (i did Saint Kabur). We visited a couple of temples and did Karma Yoga as well. To me that the latter will stay with me for the rest of my life. We, the students, also took the teachers to white water rafting one Sunday which was really great to do something together in our free time. I keep in contact with a few of the amazing people i met throughout my month at the school and know they have progressed as teachers or use it in their field of employment. I am currently trying to volunteer to pass on my experiences at hospitals and cancer units. As daunting as I found the first week it was nothing compared to the feeling of accomplishment I felt when I was handed my certificate. I was truly elated! In summary if you’re looking at a meditation school i honestly couldn’t recommend a better establishment full of amazing teachers, who care about you, your well being, growth and experience than Shree Mahesh Heritage. Just choose your month wisely. I was blooming hot, and I’m Australian, out there!!! And take a pillow – the schools are rock hard! I’m writing those words from the roof terrace, and I’m surrounded by mountains, a fresh brise pass trough my hair I can see the stars so close and the mountain around me. I’m half way through the programme and what an experience it is to be here! The school Is great actually it feels good to be in a such a peaceful place after being in the beautiful chaos of india! The rooms are clean with a ensuite shower and toilet and the food! The food is great. Coming here in august during the mansoon was a worry for me but it only rain at night and those moments are quite refreshing to be honest. This experience will definitely change me for ever, with the teachings I got more attuned with myself and I gained a certain feeling of peace. I will strongly recommend every body who is interesting in learning meditation to come here you will be in very good hands. As my journey here is about to end I feel like a new beginning us about to start for my life. Namaste life is an experience worth living. Well rounded meditation program explaining different methodologies. There is a lot of choice in the application to suit different tastes. If one is well prepared with readiness in yoga, pranayama it is most beneficial. Too many teachers were involved. However I attended with hard working group and the message was loud and clear. Meditate day and Night as Sita Ram says. Through the years I have encountered many teachings, techniques and philosophies. Some of them worked fine, some not. Not all of the teachings stood the test. This school and its teachings are genuine I found during a two months stay there. My ankle had been damaged before and it wouldn’t heal. My physical condition was bad. Gradually my foot healed and my condition improved significantly. I have tried to work on these things before but to no avail. Here however my body cured so naturally, without any effort. I climb up- & downhill much easier now. Furthermore I find that I have much more peace now and again, on the psychological plane, big improvements that I have not been able to cure in any other way. I healed the hell out of me to overcome patterns and nasty feelings to no avail. Here I see that love and joy is a natural state. Learned a lot, even as a yoga teacher. Teachers were very passionate. Everything was done by heart and love: classes, teachings, practices, accomodation and specially the food! Specially thanks to senior teacher sri Ram who answered my many and specific questions on pranayamas and meditation-techniques in a terrific way! “I loved the 4 week Meditation Teacher program. The teachers are superb , full of knowledge and passionate and the accomodation, food and love that I received at this place were priceless. I also take this opportunity to wish Ram,Sarvottam and my beloved RIshikesh family a wonderful happy new year! In more than one: Located in a remote environment up on the hills of tapovan, overlooking on rice fields and ever green view, far away from the busy noisey areas of Rishikesh, the perfect place to disconnect from the outside and reconnnect to yourslef. Combination of great deep philosophy background, variety of Meditation techniques and professional teachers will take you along the path of exploration and self realization. The MTTC can truly transform your way of living if only for a month. Last least – Wonderful food based on Ayurvedic cooking will nutrit your both body and mind. Yo estuve por el curso basico de 8 dias y fue maravilloso. Las habitaciones son muy comodas y silenciosas, ubicadas en un ambiente relajante y en contacto con la naturaleza. En las mananas puedes escuchar y ver a los pajaros del sector que acompanan tu meditacion. El curso integra diversos conocimientos de ayurveda, yoga, filosofia y meditacion. Siendo una interesante experiencia basica para tomar contacto con tu cuerpo, tu mente y abrir un nuevo espacio de conocimiento. La comida es muy agradable, saludable y se nota que esta hecha con carino y en base a un plan nutricional. Ademas es muy deliciosa. Te vas con una sensacion de tranquilidad y con ganas de aprender mas! Everyone here is very knowledgeable and such beautiful souls. The program itself is very well done. There is a great balance of information and practice without feeling overwhelming. The support and presence of everyone on the team has made this the most beautiful experience for me. I am extremely grateful to have found this place to strengthen my meditation practice and it has inspired me even more to continue on this path. The location is great. It is set away from the city centre and close to nature and inspires quiet reflection. The class instruction, the different techniques presented and the field trips for meditation are very well put together and I would highly recommend this program to anyone who is interested in meditation. It was one of the greatest experience i had in my life while participating to 300 Hr MTTC. I would surely recommend this school to all the visitors who wish to become Meditation teacher.Nothing much to say One word. Amazing experience. If you want to be a teacher then just join and experience.Thank you Sarvottam , Ram ji & Team. wow…..don’t know where to start…..maybe saying I am back after two month of my teacher training course ha ha! In this little paradise I spent one amazing month learning, exploring, exchanging, practicing and opening myself to a variety of new views and approaches to meditation…..I came thinking would be meditation and meditation…… and the very competence teaching here show me that, before meditation you have to prepare the body physically and mentally is not and easy journey, it is just the journey, and before we teach….we have to master it! I have to thanks everyone here for the deluxe comfort, the brilliant abs safe help in getting to places,taxis, shopping, the so healthy delicious food with the friendly kitchen staff, the wise knowledge in Ayurveda herbs, in pranayama and in meditation techniques…..the help when I was ill….. And of course to take us for adventurous trips! I did my 8 Days Meditation for Beginner course at Shree Mahesh Heritage and it was a great experience with team SMH. Everyone is having their unique set of quality and worth the program to join and experience stillness of mind. Surrounding is peaceful and teachers at school are extraordinary with multi skills. Thank you worth joining short term program to experience Rishikesh and out of the box learning. and meditation that has become part of our daily practice now. Thank you very much for the kindness and open heart. Hope to join your next Level II in Future ! Great team great people. I am thankful for having wonderful experience at mediation school, shree mahesh heritage, India. Many of my doubts regarding practice and philosophy get cleared in a very simple way. A great place for meditation seeker. Thanks for the entire team and their wonderful knowledge experiences. I enjoyed the place and people very much. I feel to thank all the staff of the Shree Mahesh Heritage / Kushal Palace . everyone’s effort to make students course flow as smooth as possible didn’t pass unnoticed. food was delicious, the staff kind and lovely, teachers professional and inspiring ! I found the course itself very helpful in giving a broad picture of such a vast argument as Yoga and Meditation and Ram made sure everyone left understanding the foundation of this ancient yet complex practice. personally I join the course almost as a “mistake”, as it wasn’t planned, but it helped a lot pushing me to bring issues up to the surface and face parts of my personality I wasn’t completely aware of . I was already on the path of meditation, wandering, and this course gave me direction and inspired me to expand my horizon further , and it did it with gentle loving kindness. this course drove me through different philosophies/schools and it was of invaluable help to find out what meditation technique is most suitable for my personality . Thank you Ram for sharing with me your know ledges. You help me to confirm some limitations to workout in my daily training. Thank you also to your wife, for cooking so well. Thank you to your Son and Daughter. Meeting Ram and getting to know this meditation school made my visit to Rishikesh surprising enriching with so much new knowledge and of course the honour to get to know Ram as not only a great great teacher but also a friend. Ram brought laughter yoga and meditation to my life which I will never forget that and will always be grateful for it. Thanks Ram again and again. I had an amazing experience with Master Ram learning Meditation. It was my first visit to india and finding such meditation school in india was totally difficult task for me.I found his video in you searching meditation teacher training school in Rishikesh.Could not believe i am going to meditation teacher ! Thank you to Team Shree Mahesh Heritage- to provide me awesome food & personal treatment.I would recommend anyone to really willing to become meditation instructor. Best Regards, John Roof ,from USA. I thank you Ram! When I first came here, I wanted to study Yogasana and meditation and ayurveda Massage. But I found more than that in this place. Everything is doing and giving with love and understanding. I know, I was not very kind some time. But you made me understanding my body after cleansing it. I can leave with more trust and knowledge and handle better my life back in France. Thanks to all the family for being nice and helpful. Rajnee helped me a lot also in learning ayurveda diet, wonderful Spices, medicinal herbs and oils for better health. conclusion: Everything has to be done with the heart, love and mindfulness.